The Houston elements take a toll on your property. We offer services to make your property look new, including pressure washing, window cleaning, roof washing, and more. We clean and renew homes, businesses, apartment buildings, and office buildings. 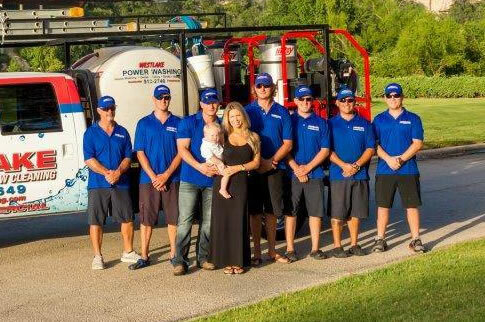 After over 15 years of serving Central Texas, we bring our professional cleaning expertise to Houston. We now offer Houston the high-quality services we’ve been refining for almost two decades. Whether it’s your home exterior, roof, concrete, stone, or brick surface, we can handle it. No job is too big or too small for us. We offer a price-match guarantee that ensures we beat the competition in service and value every time. No sub-contractors here. All of our employees are OSHA certified, fully insured with workers' comp and receive health insurance benefits - because well cared for employees do the best work. This site has been Digitally Cultured and was produced by Socialco.